Spring peak has arrived and Summer is just around the corner too, as the birds are singing, the bees are buzzing, the trees are leafing and this blog is…… well desperate for content if truth be told. Fear not, anybody who knows me will realise that I am still active over on Facebook and I haven’t disappeared into the oblivion, take today’s Facebook Naturestimeline cover update below, for instance. And then there is the original, unedited, uncropped version (beware, large upload) for all my fellow nature lovers to admire. Isn’t he or she a beauty eh! My advice to you is, should one need a boost for their wellbeing, just listen intently to birds such as the one shown above, singing lustily away at dawn or dusk amongst a cacophony of other birdsound. Of course, there are times when they’re not over vocal as when raising their own family, it is best to be quieter then as noisy adults make for noisy children, you know. As for my own voice, it can often be heard over on LinkedIn. I like to participate in various LinkedIn Group discussions over there or simply make worthwhile connections with fellow naturalists and conservation professionals as the more the merrier, the bigger the conservation movement. I am an occasional Google+ community user as is evidenced by the badges on this page as well, of course. So finally, it is time for a request. Wherever you find yourself loitering about online, do please let us know. As you are my audience, therefore we should get connected and continue to fight our fight together, for the good of the Natural World. 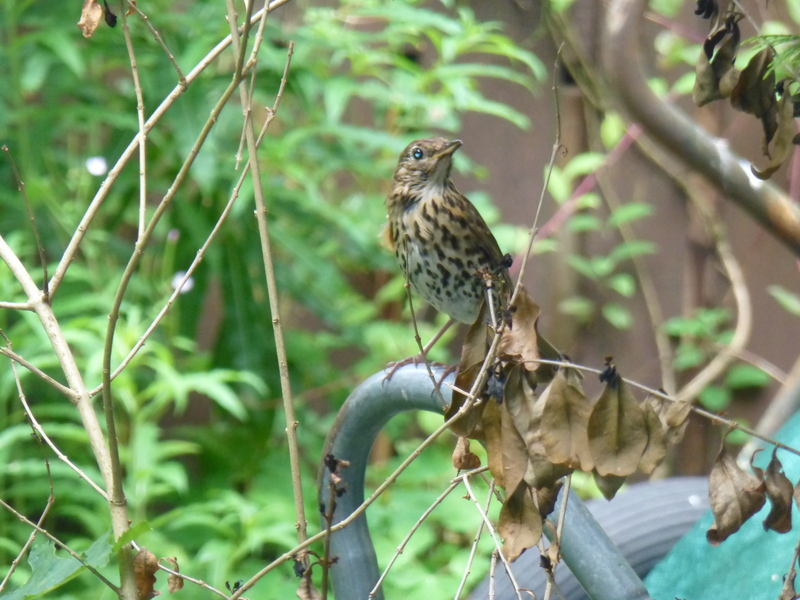 Great to see the thrush. 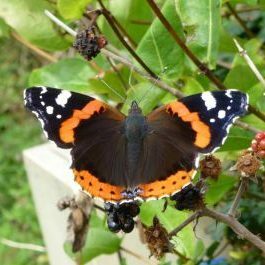 There were some in West London around Osterley Park and will ask my ecologist friend if still around inHounslow. Not seen or heard any in Spain. Lovely birds, lucky you having a pair so close by. Haven’t heard one in our immediate woodland, but that could be because the Mistle Thrush is so loud he fills the airways on his own!